What are some of your favorite items to cook with your kids in the kitchen? From pinwheels to cookies and breads, this article over on Childhood 101 will get you started in the right direction! 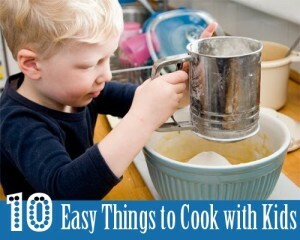 Check out this complete list of 10 Easy Things to Cook with Kids!